If you’re still in the newborn phase, you probably haven’t yet experienced the wonder of a baby noticing her reflection in a mirror. Let me just tell you—it’s pure magic. Her little face will glow with delight and you might even get a few of those adorable laughs or coos. And don’t even get me started on the pointing and babbling and funny faces that come along once baby approaches the toddler years. 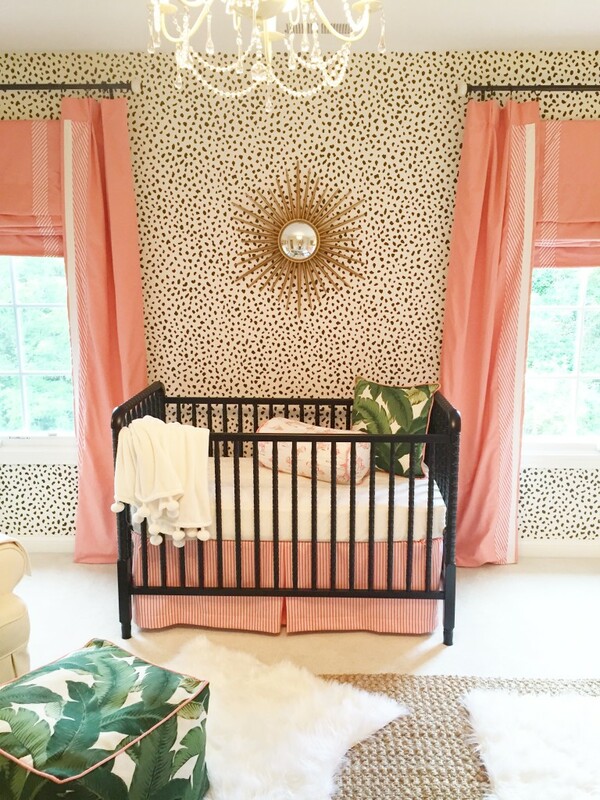 All of this is to say that mirrors in the nursery are always a good idea. But before you choose a standard rectangular version and call it a day, check out a few of these amazing mirrors we spotted in the gallery for some inspiration—you’ll love looking at it just as much as baby likes looking into it! Remember, whenever you are hanging something heavy in a child’s room, use extra precaution to attach the piece to studs and be sure it is firmly secured to the wall. If you’re on the hunt for a statement-making mirror for your little one’s space, check out this roundup of mirrors for the nursery. And for more inspiration or to upload photos from your nursery, big kid or party project visit our Project Gallery!